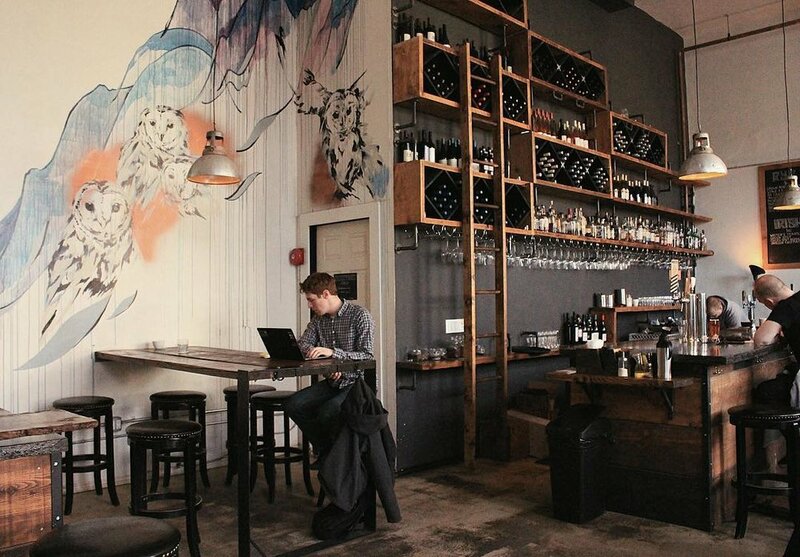 We could devote an entire website to coffee in the 'hood. It is a form of deep devotion for many of us, in the same way that wine snobs fall down a well jabbering polysyllabic odes to their favourite grape or "terroir." Coffee is personal, and people get heated when talking about what shops rock and what shops don't. 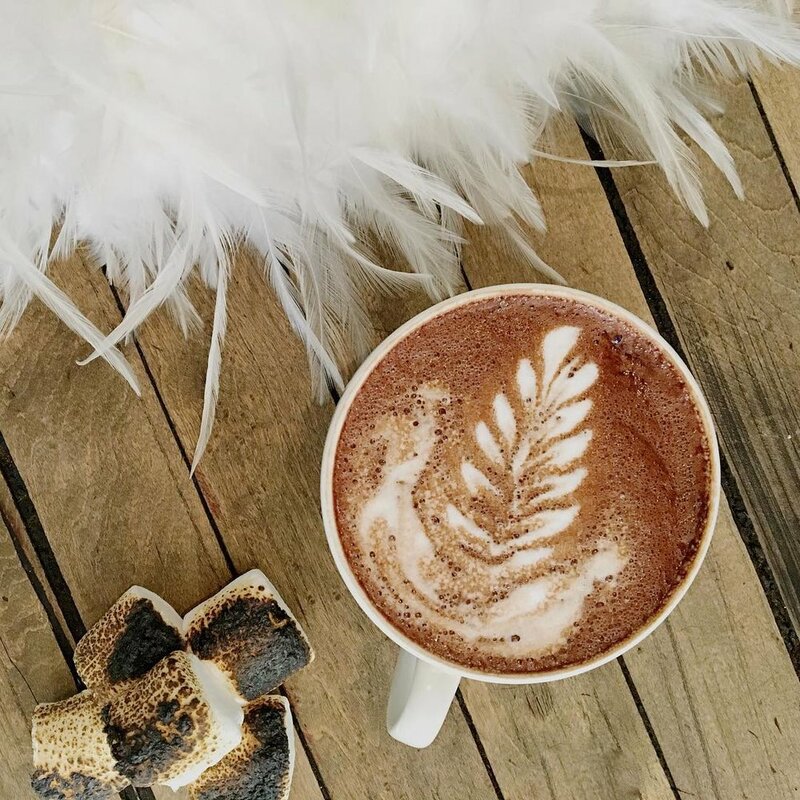 What can be said is that some of the best–and worst–coffee can be found in Riverdale, so we're here to break it all down for you without inciting riots. Not surprisingly, some shops have better coffee, others a better supporting cast (staff, environment, experience, energy). There's room for everyone under the tent. Rooster Coffee Shop Shawn Andrews and Dave Watson took a tired variety store and converted into one of the best coffee shops in the city. It's authentically cozy inside, the view is of the city is sensational, and Shawn's hand-picked staff are always friendly. While Shawn has a very high standard for the shop and its coffee, just being inside or on its glorious patio is reward enough. BoxCar Social The second location of the popular Yonge street hipster shop. Great space in Leslievile, friendly staff, and what can only be called "tea-like" espresso (a compliment, not a diss). It's not your Mom's (Second Cup) espresso. A forward-thinking shop. Broadview Espresso This is the wild card shop. Mike the owner is a guy who takes life in big gulps (ask him about how he street wrestles. On gravel. Seriously). The experience inside his shop is bare-bones laid back, Muskoka-chaired outside, and always humming with coming-and-going energy. The best thing about Playter Estates. We do love the place, although sometimes not as much the coffee, sadly. It could use an update. But Mike's charm and his shop are infectious. Si Espresso. This teeny, tiny shop, originally founded by actor Egidio Tari, and taken over by the always lovely Savario Consenza, is a true neighbourhood place, where you can hear who's breaking up, breaking down, and who gets the cottage. It's intimate but convivial. Not a shop to plunk down with your laptop for hours straight. You go there either for a quick take-out, or to be humbly and authentically served by Savario, a natural host. 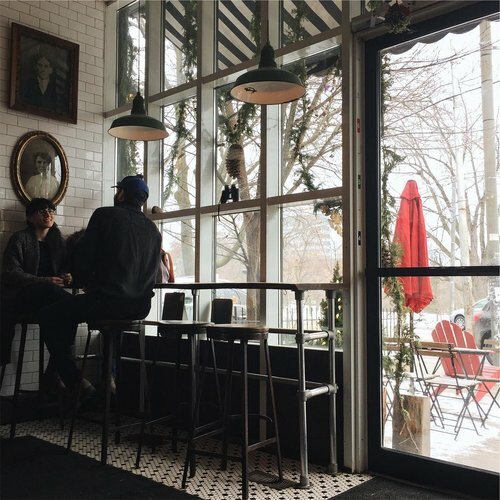 The Riverdale Perk has always been that cute, little cafe on the edge of Withrow Park where you feel you need to stop and remove yourself from city life and exhale. It's peaceful yet social, and you'll have a strong cup of joe in your hand while you sit on their ever charming patio.. They do excellent smoothies, homemade soups and a great Morning Glory muffin. Their brunch is also standout. 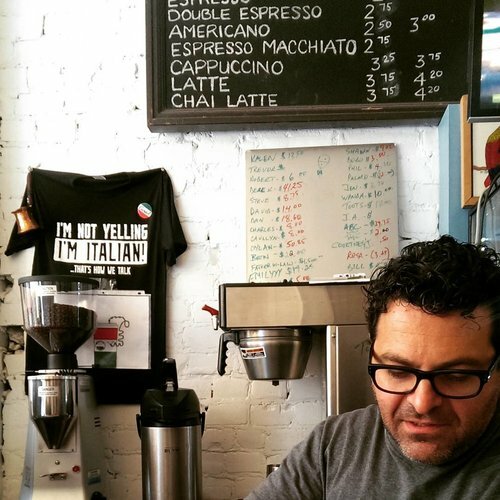 The Shmooz Owner Barry and his wife Tzabia probably represent what might be the next level of a neighbourhood shop, which is to have a full kitchen and make the food as memorable as the coffee. In a very short period of time, they've begun to kick out embarrassingly good food for a "coffee shop", including excellent chicken soup, a star Queen Elizabeth muffin, twice-a-day croissants, and delicious paninis. Their morning muesli parfait is also relish. Coffee is up to snuff after working out some opening wrinkles and they're operating on all cylinders. A great addition to the 'hood! 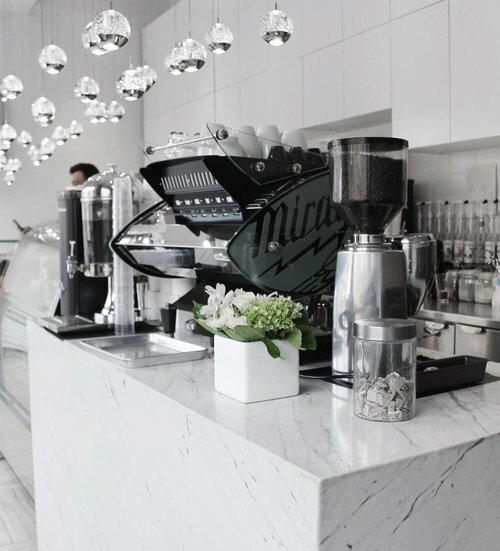 Marvel Coffee Owners Sam and Sophie, Greek and charming to the core, have built a second, high gloss shop just a few steps north of The Danforth after opening their first shop on Donlands a few years back. They do tasty croissants, healthy, delivered salads and various goodies (including sensational jams), and make friends out of everyone who comes to their shop. The espresso is old world in style, but excellent. It's a great shop to sit in! Te Aro When Andy and Jessie opened their decidedly new world shop some years ago, many of us thought there were crazy to try and compete with Mercury, the area's preeminent espresso haunt. Turns out there was a market not yet peeled back: aesthetic hipsters who wanted something other than old couches and surly baristas. Andy and Jessie are deeply in love with coffee, and created Pilot Roasters to supply many other shops (including Rooster). On a day-to-day basis, only Hailed Coffee is doing espresso on this high a level in the east end. Patio is also one-of-a-kind, and John Schell next store is one of the city's best florists, btw. Hailed Coffee Next to Saturday Dinette on Gerrard, this addition to the 'hood has excellent espresso, creamy and warm on every pull. Their sesame, pistachio cookie is delicate and delicious, an antidote to all the syrupy sweet cookies that seemingly every coffee shop stocks far too readily. In fact just about everything this shop has is excellent and carefully curated. It's our new favourite place.